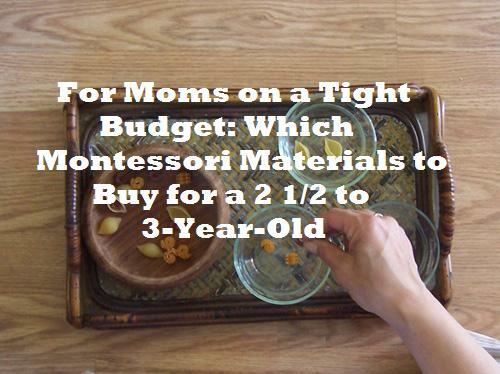 "I need help with what Montessori materials I should buy for my almost three-year-old. Cylinder blocks: would my daughter use them lot in the future? Should I omit the pink tower, and the red rods? Are they are a must?! I know they are somehow a must, but I have a tight budget! Maybe I will find some cheaper alternatives, or DIY, online? I am also looking to order from Michael Olaf. I love the things he has. ﻿"In Michael Olaf catalogue I found many nice things in acceptable prices, like rocks to match, many different language cards, bob books, sand paper letter templates, clever games, also geometric solid wooden blocks, phonetic reading cards, orchestra instrument cards, vertebras cards, books with life cycle of animals, etc. Any of the above I should not buy? "I am thinking - as my daughter is so interested in animals, instruments, music, dance, sea, birds, everything, even counting and numbers, that I should move on and prepare the curriculum for 3-6. Because my daughter will be three soon, what should I buy for a three-year-old?" 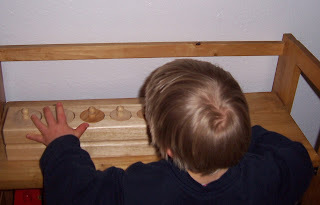 The Cylinder Blocks are very popular with two- and three-year-olds. You can buy all four at once, or buy one at a time over six months. When your child is older, she can do two at a time, then four at a time. She can also do them blindfolded to make them more challenging (when she is older). 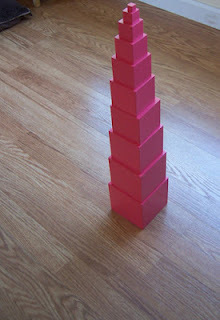 Pink Tower, Brown Stairs, Red Rods: You can buy stacking blocks that are non-Montessori if you want, but they are hard to do because they are hollow.You can buy the Pink Tower now, then the Brown Stairs in three to six months. 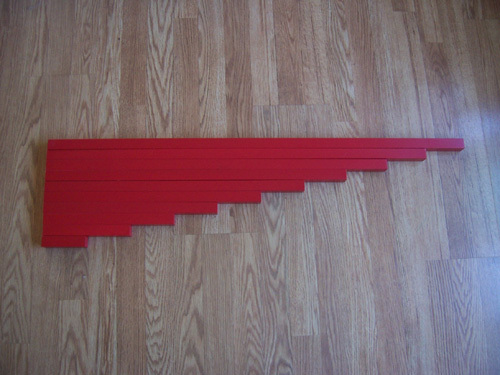 And don't buy the Red Rods until your child is 3 1/2 or 4. What is really exciting is having all three together! So many great extensions to do with all two or all three when your child is four and five-years-old! So make a timeline for buying materials. Buy two or three a month. Buy more at birthdays and Christmas time. For now focus on Practical Life materials! That is what your child will need to do and want to do and repeat! NOW is the time for those types of materials, like pouring, spooning, tonging, and scrubbing. Sorting is boring, sadly, for most young children. So don't buy sorting and matching. Instead, make your own! Don't get too far ahead and feel like you have to buy all these materials now! So don't buy so much. 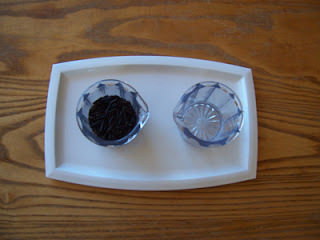 Instead, make Practical Life materials and activities. 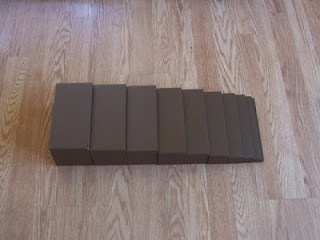 Buy the Cylinder blocks (one each month). Buy the Pink Tower, then wait a few months for the Brown Stairs. Buy the Red Rods when she is 3 1/2 or 4. When you are looking at materials, it is tempting to buy a lot, but don't! Wait! You are going too fast and too far ahead. Focus on now, on where your child is now. 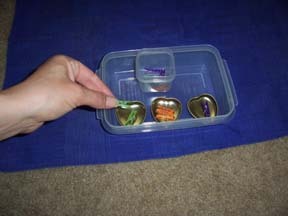 Rocks to match: Make your own matching activities! Don't buy this material until you are actually studying rocks and geography at age six, and your child is reading, and writing, and can learn the names and the definitions, where the rocks come from, how they were made, etc. Many different language cards: Your child doesn't need card activities right now, she needs the actual objects, the CONCRETE, the HANDS-ON. 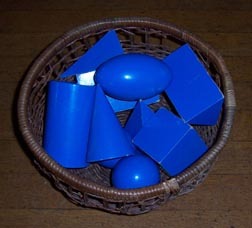 Instead, make an I Spy basket with small objects (you can do this after she turns three). Bob books: Too soon, wait until your child is five-years-old! Sand paper letter templates: You can buy those when your child is three to three-and-a-half. 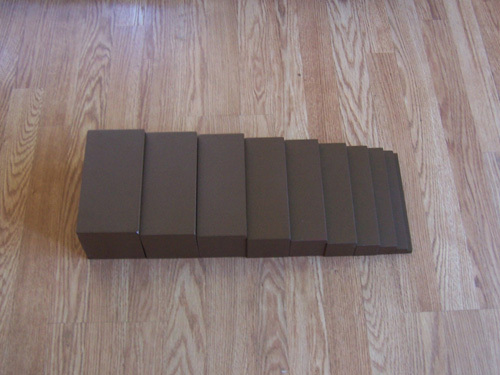 Geometric solid wooden blocks: You can buy them if you want (the Geometric solids and bases). They have cards that go with the Geometric Cabinet: VERY EXPENSIVE! 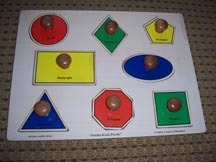 Go with geometric puzzles instead to learn shapes, then make your own cards to go with the puzzles. Phonetic reading cards: No, not until age five. Orchestra instrument cards: Concentrate on REAL instruments and REAL music CDs. Don't buy the cards until you study music when she is much, much, older. Vertebra cards: No. Not until elementary. Books with life cycle of animals, etc. : Life cycle cards/books come in elementary. Not now. Instead, concentrate on REAL animals, REAL flowers and plants. The CONCRETE experience. Hope that helps with your decision for which Montessori materials to buy for a three-year-old on a tight budget! 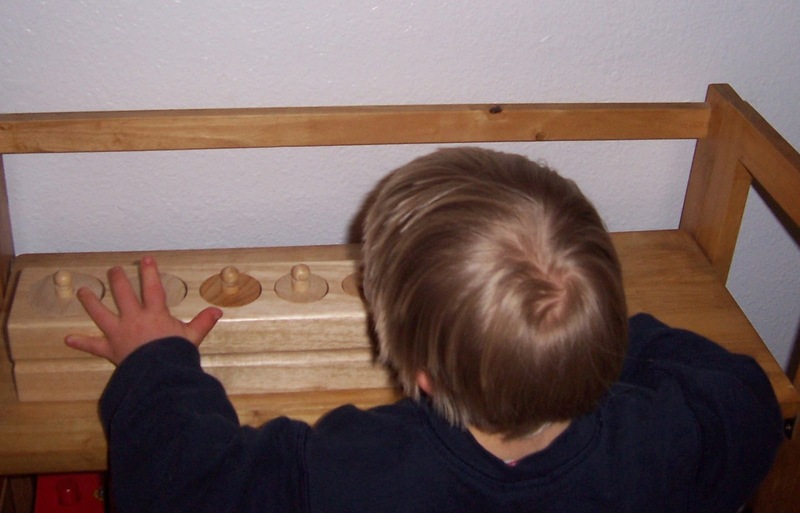 My affordable online Montessori programs and PDFs for birth to age nine!